What’s the definition of harmonics? Why are they bad for the electrical equipment? How to define harmonics effect? How to compensate? 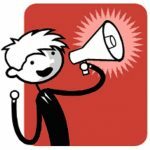 Read the following article by one of your fellow electrical engineer who sent us good information about this topic a couple of weeks ago. What is the definition of harmonics? Harmonics are actually waveforms with higher frequency, which is superimposed to the fundamental frequency, and distort its wave shape. The distortion and its amount depends entirely on the quantity, type and shape of the harmonics present. Harmonics appeared since the introduction of electronic drives for motors, fans and pumps, power supply switching circuits like rectifiers, power converters and thyristor based power controllers. Harmonics occur due to the fact that, the controlled current drawn by the load doesn’t follow the sinusoidal supply. In electrical power distribution system harmonics combine with the fundamental frequency (50Hz or 60Hz) supply and create distortion of the voltage and current waveforms. This distortion as result, creates a complex waveform made up from a number of harmonic frequencies. These have an adverse effect on the electrical equipment and the power lines. Harmonic currents, which are generated by non-linear electronic loads, increase the heat losses in the power system and thus the power bills of the end-users. These losses reduce the system efficiency, and are the cause for overheating in appliances. Harmonic currents have a significant impact on the electrical distribution systems and the facilities and equipment they feed. When planning additions or changes to a system, it is of crucial to take harmonics into consideration. Also, proper identification of the size and location of non-linear loads should be an important part of any maintenance, troubleshooting and repair program for the engineers that are planning the electrical system. Why are harmonics bad for the power network and the equipment? Electrical distribution equipment overheat, xformers lose their capacity, cables, standby generators, motors cannot be fully loaded, etc. How to define harmonics effect? Defining harmonics can be tricky, so we are going to present some examples of common equipment, and how we can recognize if something is wrong and the equipment loses its capability for proper working. One of the most used elements is the circuit breaker and you all know that its work principle is based on the peak of the current waveform. In case there is harmonic in the system, the circuit breaker will trip prematurely, aka it will trip before it should normally do. Bus bars and lugs also suffer from harmonic in the system. The result is overheated bus bar, because the neutral conductor is overloaded with the additional sum of the triplen harmonics. In electrical panels, because of the higher frequency currents, you can hear a buzzing sound and feel vibrations. In other types of equipment, like transformers, harmonics effect results in another way. 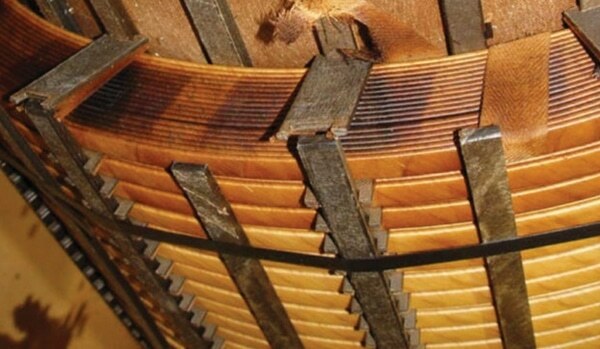 Harmonics can seriously damage the coil of the transformer, due to the overheating. Several options for harmonics reduction in the system exist. These options have variable degrees of efficiency and effectiveness. The first option is oversizing the neutral wiring. The neutral wiring and the power wiring should always be specified to be the at least same capacity, or if possible it can be larger. The second option states that the neutral conductors should be separate. In three-phase circuits, it is better if the neutral conductors are separate for each of the phase conductors. By doing this, branch circuit’s capacity and ability to handle the harmonic loads are significantly increased. The third option would be to use K-rated transformers in power distribution components. K-rated transformers actually do not handle harmonics, but they handle the heat generated by the harmonic currents and are very efficient when they are used under their K-factor value, that ranges from 1 up to 50. The higher K value, the more heat it can handle. The fourth option would be to use DC power supplies, instead of AC power supplies. Harmonics are engineer’s biggest nightmare. Careful planning of plants and power systems is essential to cut off maintenance costs of the equipment installed. With all those negative effects in mind, every engineer can increase the life of the equipment. Keep in mind just one fact. Every constant temperature increase of just 10 degrees Celsius, can decrease equipment’s life for 50%. or copy this trackback: http://engineering.electrical-equipment.org/power-quality/harmonics-effect-power-network.html/trackback from your own site.